Apollo Creative work with a number of distributors throughout the UK. Below are a list of some of the trusted companies we work with to deliver sensory equipment to your door. Feel free to enquire about any of our products to these companies or get in touch direct to see how we can help. Eduzone have been providing early years settings with educational resources for over 20 years. Eduzone specialises in innovative and high-quality products carefully selected with children’s safety and development in mind. 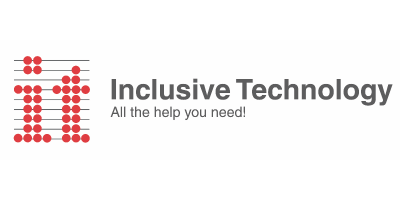 Inclusive Technology is a leading supplier of software and hardware for people with special needs. We dedicate ourselves to providing pioneering assistive technology to our customers worldwide. Millwood Education is a leading supplier of early years, primary, special needs, educational resources and educational supplies to childminders, pre-school playgroups, infant & junior schools, nurseries, daycare providers, teachers and parents in the UK. 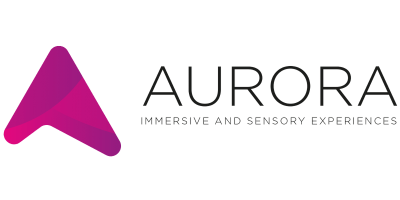 Aurora is the range of innovative sensory solutions from Osborne Technologies Ltd. Working closely with schools, teachers and occupational therapists they provide the perfect sensory solution to suit every specification. They have a dedicated team that will design and build a sensory room with the latest technology. Premier Solutions (Nottingham) Limited are installers of professional lighting, audio, AV and interactive projection equipment for the special needs, education and leisure & fitness markets. Rhino UK is a leading supplier of multi-sensory equipment offering a complete design, installation and maintenance service. For more than 75 years’ combined experience working with Local Councils and Government Sectors serving Health and Education establishments. Sense Sensory provides sensory equipment for all ages, with a vast online shop including bubble tubes, fibre optics, projectors and tactile items, to list a few. Based in Essex, they can design and install sensory rooms to a high standard. Sensory Guru Ltd is a dynamic company with a passion for developing exciting and innovative learning technologies. Specialising in the design and installation of sensory environments, gesture-controlled software and inclusive learning technology. 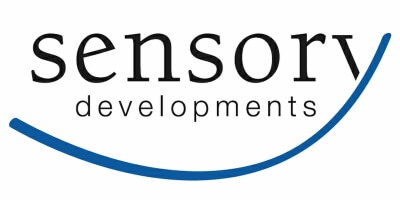 Sensory In Play is the new e-commerce arm of Flexion Optical Fibre Ltd which has manufactured, assembled and supplied fibre optic sensory products mainly to the trade for over 20 years. Based in Scotland, Sentoy supply a wonderful collection of sensory toys for children of all abilities. Focusing on sensory toys and equipment for children with autism and special needs. Based in Plymouth, Devon and servicing the southwest, So Sensory are a Specialist Sensory Room Installer providing a complete design and installation service. Their service predominantly utilises soft play cushioning to form the basis around which they build their rooms. From single projectors, bubble tubes and smaller home use effects, through to fully interactive Multi-sensory installations and suites. Sensory Developments have over the last number of years made a name for itself as one of the most original, flexible and user-friendly designers and manufacturers of all types of multi-sensory environments. Total Sensory is an established manufacturer of sensory equipment, with a team of installers that can build your ideal sensory room. They are experienced with wall and floor padding, sensory rooms and soft play rooms as well as immersive technology. From humble beginnings in a garage in the Midlands to supplying over 84 countries across the globe, TTS have been talking to educators and inventing new reasons for children to love learning for over 30 years. Sense Toys specialise in everything sensory, from small tactile toys right through to large interactive Bubble Tubes. They supply their products all over the UK to the education sector. Specialist solutions provider Teal LifeCare provides innovative mental health furniture and sensory products designed to meet the specific requirements of dementia, challenging behaviour, learning disabilities and mental health. We offer a total solutions package for fully installed furniture, sensory products and furnishing schemes, including blinds and curtains with anti-ligature features. We work extensively with NHS mental health Trust’s nationwide. Integrex is a leading UK designer and manufacturer of innovative, interactive electronic and IT products for education, retail and corporate sectors. Located in Derbyshire they are ideally located to service clients throughout the United Kingdom. The Sensory Store provides a wide variety of sensory equipment as well as bespoke sensory rooms. TLC 4 Schools design, manufacture and create bespoke sensory, immersive and soft play environments for all ages, abilities and budgets to meet your needs. From individual products to full rooms and anywhere in between please contact us to discuss your requirements, arrange a visit / demonstration and room design. With the largest range of soft play equipment Softplay Solutions specialise in the design, manufacture and installation of exceptionally high-quality children’s soft play products, structures and sensory environments. We supply to the UK, Europe, USA and Asian markets. 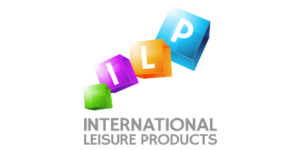 International Leisure Products (ILP) is one of the largest manufacturers of bespoke leisure products with over a quarter of a century of industry experience. Our team specialises in the design, manufacture and installation of indoor playgrounds, trampoline parks, parkour zones, ninja warrior courses… and a whole lot more. Having set up and run our own indoor playground ‘Astrabound Play and Party Centre’ since 2008 and trampoline park ‘Go Bounce’ since 2015, the International Leisure Products team understands what it takes to create a successful leisure venue and Family Entertainment Centre and applies this support to potential new start businesses and existing leisure venue. If you are looking for bespoke leisure equipment that is creative in design and manufactured to the highest quality as well as expertise to guide you through setting up and running a premier leisure venue, then you can rely upon the expertise offered by International Leisure Products. Play Area Hygiene Services is based in South Devon and is managed by Adrian & Elliott Myatt and Guy Heynes. We have an excellent reputation within the leisure industry for maintaining and sanitising soft play centres, plus designing and installing new play frames. We can cover all your indoor soft play needs! As a family run business, well established within the education industry with over 25 years experience, we understand the importance of excellent service and reliability for your education supplies needs. We are based in the heart of the Midlands, in Staffordshire – yet we comfortably cover and service all of mainland UK. Wherever you are in the UK, we can provide friendly, professional advice on all our educational products and delivery service. Our team of staff are trained to the highest standards and our aim is to keep your purchasing experience as hassle-free as possible for you…from selecting which school supplies products you need, to receiving delivery. Think You Should Be on This List? Would you like to distribute Apollo Creative sensory equipment and grow your business? Join our network of distributors and receive fantastic trade prices on all of our product offering. Get in touch below and speak directly to a member of the team about pricing and how you can grow your business today.